View More In Au Gratin Pans. 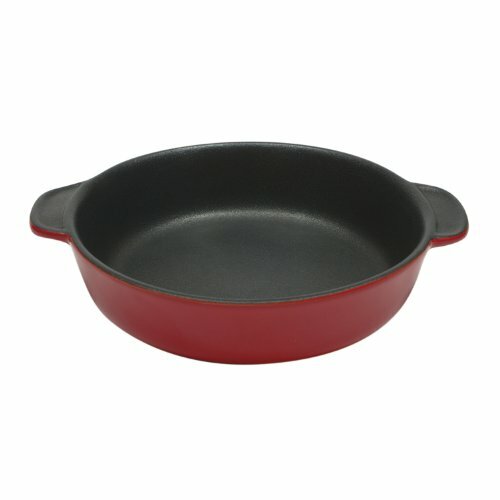 Maxwell and Williams Microstoven Red 6.5-Inch Round Au Gratin Dish is expertly crafted of high quality stoneware featuring spodumene, a mineral that makes stoneware flameproof and enables multi-function use. Features 2 layers of xylan non-stick coating. This attractive, practical baker is ideal for baking and serving main dishes and sides. 6.5-inch au gratin dish is dishwaser safe, microwave, stove and oven safe. Based in Australia, Maxwell and Williams provides quality, affordable designer homewares that celebrate the joy of living. Our diverse collection encompasses the entire spectrum of homewares from the kitchen to the tabletop and beyond. Maxwell and Williams products are made using a multitude of materials including ceramics, glass, stainless steel and acrylic. Maxwell and Williams is a name you can trust. Distributed by Fitz and Floyd Enterprises, sole distributor of the Australian Brand Maxwell and Williams. If you have any questions about this product by Maxwell and Williams Designer Homewares, contact us by completing and submitting the form below. If you are looking for a specif part number, please include it with your message.